The Goole Foot Clinic - About us. 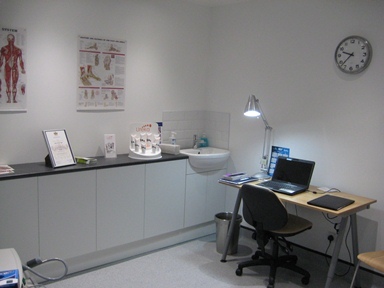 Chiropodists and Podiatrists in Goole. 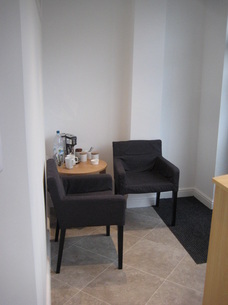 The Goole Foot Clinic, which is located close to the amenities of the town centre and within a variety of local established businesses, was an exciting new addition to the town that was opened in 2011 by two local Podiatrists, David and Ruth Woods, to provide a much needed professionally regulated local service for the people of Goole and the surrounding areas, and offers a variety of Podiatry and Chiropody care within a clean, modern and comfortable clinical setting. David and Ruth both graduated from the University of Huddersfield with a BSc (Hons) Podiatry (which is the only qualification recognised by the Department of Health and the NHS) in 2000 and have since both worked in the NHS within the Yorkshire area. 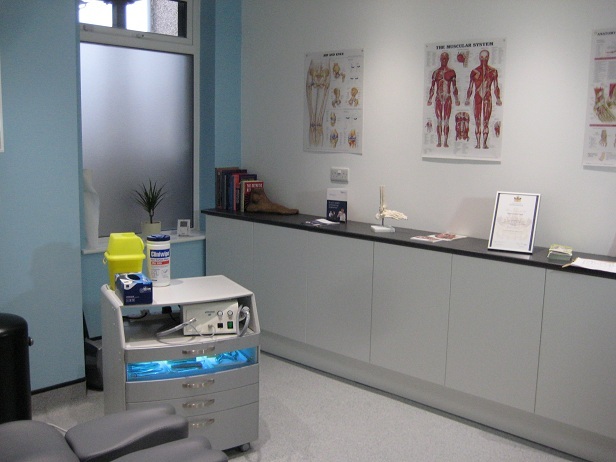 Predominantly they have worked and are very experienced in the high risk areas such as diabetes, rheumatology and peripheral vascular disease, as well as other areas such as nail surgery, musculoskeletal and bio-mechanical problems. They both now share their working time between the NHS and The Goole Foot Clinic ensuring that they maintain a strong clinical link to developments and ever changing practice locally and nationally in the health service and the profession. In 2012 Ruth completed her masters degree in Health Professions Education, and in 2015 David completed his Pg Cert in Biomechanics and Musculoskeletal Conditions of the Lower Limb, both at the University of Huddersfield. The main clinical treatment room is light, clean and spacious but offers a welcoming and comfortable experience during your treatment. 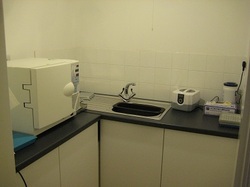 We have the most up to date equipment that meets all health and safety and infection control standards. The human foot is a complicated structure and has to deal with the stresses and strains of life with every step taken over a number of years. 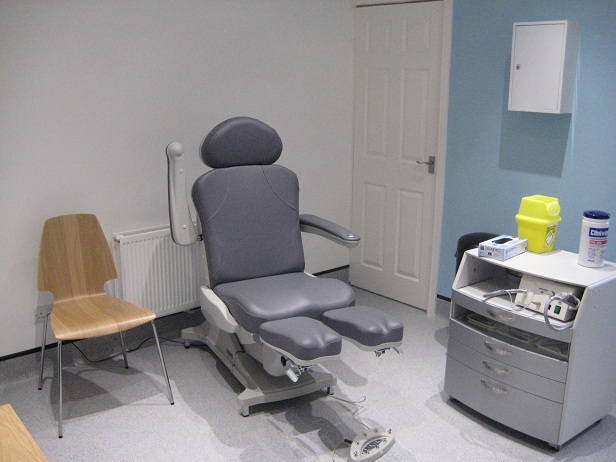 The Goole Foot Clinic is able to offer a one stop shop for most foot conditions and problems as well as offering general foot care and advice. All instruments are cleaned and sterilised between treatments in a dedicated clean room on site and are logged for auditing purposes and your piece of mind. If you wish to see the facility then please do not hesitate to ask. The reception area is bright and airy and offers a fabulous view of Pasture Road passing by as you are waiting for your appointment or are waiting for some one. Hot and cold drinks are available as part of your visit whilst waiting. Toilet facilities are also available, however we have to stress that they are not suitable for wheelchairs. If this is likely to cause a problem then please contact us to discuss alternative arrangements.